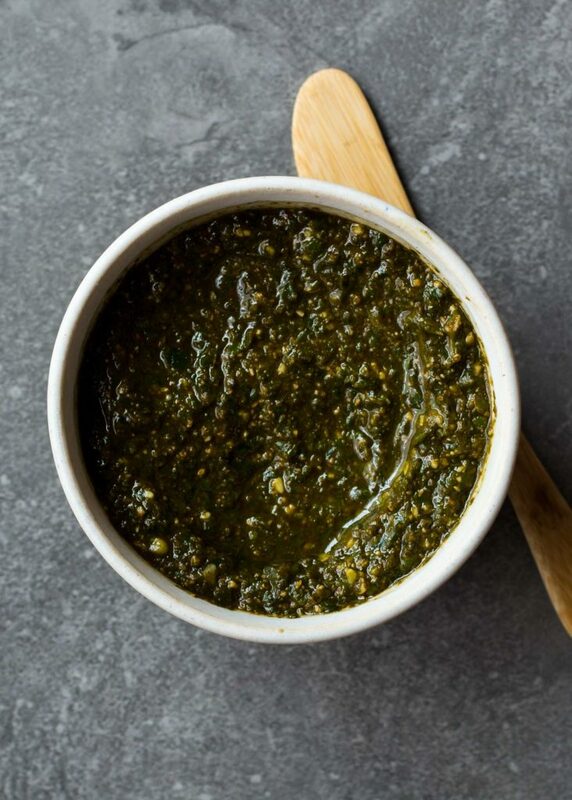 Chimichurri is a popular Argentinian sauce used mainly as a condiment for grilled meats. The flavors are bold, fresh and downright delicious. This sauce doubles as a marinade and an accompaniment for all cuts of beef but I particularly love it drizzled over roasted cauliflower or potatoes for a simple vegetarian main course. Combine vinegar, salt, garlic, shallot and crushed red pepper flakes in a large bowl and let stand for 10 minutes. Stir in the cilantro, parsley and oregano. Slowly drizzle in the oil and whisk until well combined. *Cover the sauce and keep in the fridge for 5 days.